Cures Rock! Blog: Guinness World Record Officially Certified! Guinness World Record Officially Certified! What an amazing day. Mike Sheehy was officially certified as the new Guinness World Record "Most Amount of Miles Run in One Week" and received the award at the end of the San Diego Rock 'n' Roll Marathon!!! True to his spirit and promise, he immediately donated the award to the San Diego/Hawaii Chapter of the Leukemia & Lymphoma Society (LLS). Over $42,000 (and counting) was raised by these efforts. Sometimes a picture is worth a thousand words. So I'll leave the rest of my blog up to them to describe this amazing race day (yup, I'm tired...it was one hot, humid day out on that race course today...). 1. Jenna K. (LLS Director) and Mike S. show off the new Guinness World Record! 2. 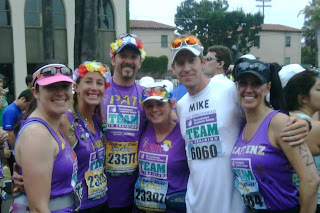 Starting line (from L to R): Julie, Karin, Pat, Erin, Mike & Enz! 4. 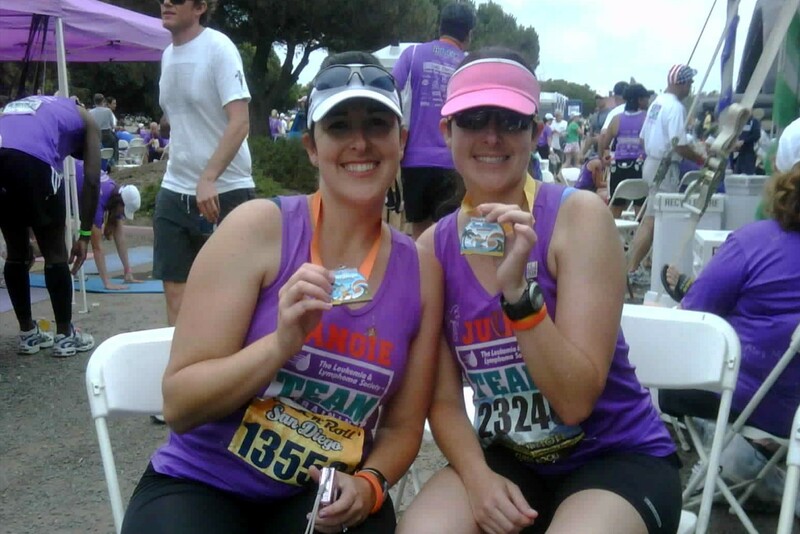 The wonder twins with their medals...celebrating National Cancer Survivor's Day! 7. Enough said. Thanks to all that donned the "Cures Rock!" 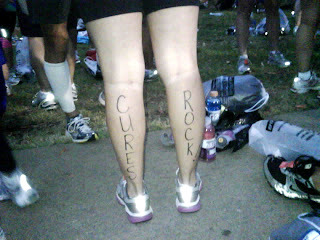 temp tattoos during the race! Wow, just Wow. Pure concentrated awesomeness in human form. Hmm, what's next?